We need only think of Syria, Nigeria or Myanmar to realize that many of today’s violent conflicts involve actors who voice religious demands, or target others because of their religious identity. At the same time, ordinary people and religious leaders like Jamila Afghani and Al Haj U Aye Lwin continue to be motivated by their faith to do extraordinary things in pursuit of peace. Given this reality, the peacebuilding community is increasingly realizing that it cannot ignore religion. While a few organizations engaged in peacebuilding work have long factored religion into their analysis and programming, the wider world is also starting to pay attention to the role that religion plays in conflict and peacebuilding. Yet, what exactly is that role? 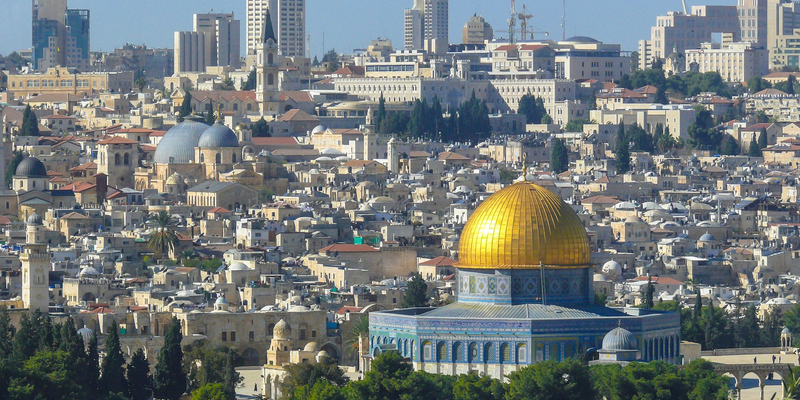 What does the presence of religion mean for efforts to transform conflict and build peace? Motivated by an awareness that an increasing number of policy-makers and practitioners were asking these questions but felt ill-equipped to answer them, the United States Institute of Peace, the Salam Institute for Peace and Justice and the Network for Religious and Traditional Peacemakers launched a project to develop a series of four religion and peacebuilding action guides. The project is a collaborative effort that has included an extensive consultation process with peacebuilding practitioners, scholars and religious actors around the world. The first of the guides, Religion in Conflict and Peacebuilding: An Analysis Guide, has just been published. Guides on Religion and Mediation, Religion and Reconciliation, and Religion, Gender and Peacebuilding will also soon be available. 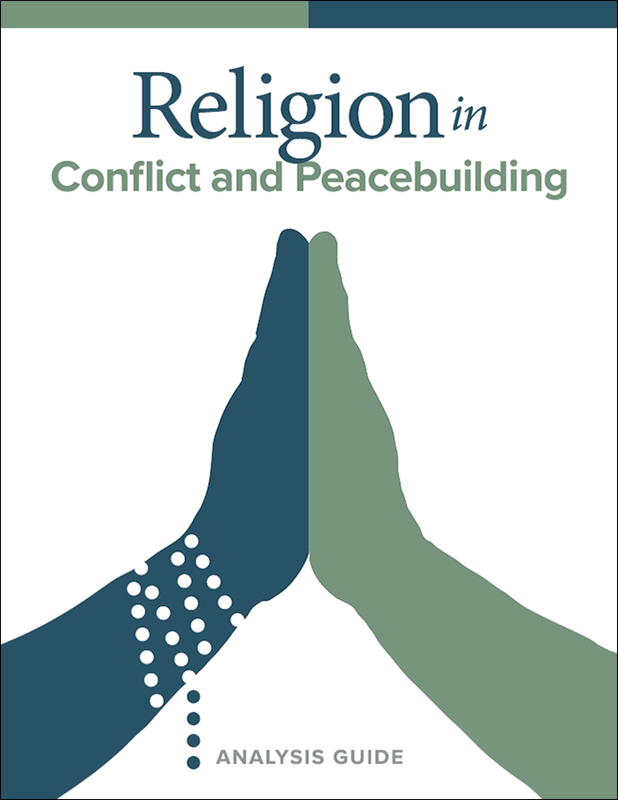 As authors of the first guide, we have sought to provide practical guidance on integrating religion into conflict analysis and peacebuilding planning. Our hope is that the guide will help practitioners and policy-makers to engage with the multiple ways in which religion can and does play into conflict and peacebuilding. It is therefore aimed not just at those who approach peacebuilding from a religious perspective, but at anyone working on a conflict with a religious dimension. The key message of the guide is that the role of religion in conflict and peacebuilding is complex, but that complexity need not be a barrier to developing religion-sensitive peacebuilding efforts. In the guide, we present a means for managing the complexity by combining two simple frameworks. First, we conceptualize religion as having five interrelated dimensions: ideas, community, institutions, symbols and practices, and spirituality. Each of these dimensions can play a role in either fuelling conflict or contributing to peacebuilding, and a comprehensive understanding can only be achieved by systematically considering the potential influence all of five dimensions. For example, solidarity between members of a religious community can be an important source of resilience in times of conflict. However this same identification with a community can lead to ‘in’ and ‘out’ groups, forming the basis for animosity towards members of other religious communities and contributing to inter-group tensions. We suggest that analysis too often focuses on one or two of these religious dimensions, such as the community dimension, and propose that a nuanced analysis of religion’s role in conflict and its potential for peacebuilding requires considering all five dimensions of religion. The second framework is inspired by the work of Lisa Schirch and breaks down the analysis process into a series of five steps: self-reflection, understanding the context, conflict analysis, peacebuilding mapping, and turning analysis into action. Inquiry is at the center of conflict analysis and so, for each step, we propose a series of questions and reflections on how to go about answering them. In order that the role of religion is understood within a more general conflict analysis, we distinguish between questions that you would ask in any basic conflict analysis and those that are religion-specific. By including both types, we aim to ensure that the place of religion in the overall analysis is neither over- nor under-emphasized, as well as making it possible to use the guide as a standalone conflict analysis tool. In a world where conflicts with religious dimensions make up over half of all violent conflicts, peacebuilding needs new ideas and inspiration to address the challenges and opportunities that religion brings with it. If you are a peacebuilding practitioner or policy-maker grappling with questions about the relevance of religion for your work, we hope you find something in the guide that inspires you. To download the summary, click here. To find out more about the upcoming guides, please click here. Owen Frazer is a senior program officer in the Mediation Support Team of the Center for Security Studies (CSS) at the ETH Zurich. Many of the ideas developed in the guide draw on his work with colleagues on the program Culture and Religion in Mediation, a joint initiative of the CSS and the Swiss Federal Department of Foreign Affairs. Mark Owen is director of the Centre of Religion, Reconciliation and Peace at the University of Winchester, and program leader for the Master of Arts in Reconciliation and Peacebuilding. He works with a range of religious groups and organizations, NGOs and policy-makers on a project examining the role of religion in the Nepalese and Myanmar peacebuilding processes.